Brent Barry is a former American basketball player who currently serves as a basketball executive and broadcaster. He works as a vice president of basketball operations for San Antonio Spurs since 2018. Besides, he appears as a presenter on 2018 NBA Playoffs alongside Ian Eagle and also serves as a studio analyst on NBA TV. Brent Barry has an estimated net worth of $20 million as of 2019. He currently earns around $1 million from his multiple sources. Barry divorced his former wife Erin in 2010, with whom he has two children. Brent Barry was born on 31st December 1971 in Hempstead, New York, the United States to Rick Barry and Pam Hale. His parents divorced when he was very young and his father married his stepmother Lynn Barry. His father Rick is a retired basketball Hall of Famer and also a one-time NBA champion and Finals MVP. His stepmother too was an accomplished college basketball player. Brent has 4 siblings; 3 brothers named Scooter Barry, Jon Barry, Drew Barry and a sister named Shannon. He also has a half brother named Lynn Barry. All of his brothers are professional basketball players. Brent played his high school basketball at De La Salle High School in Concord, California and graduated in 1990. He then joined the Beavers basketball team of Oregon State University and played for four years. In 1995 he graduated from Oregon State acquiring a bachelors in Arts degree in sociology. Brent Barry was picked 15th overall in the 1995 NBA Draft by Denver Nuggets as a shooting guard. He was soon traded to Los Angeles Clippers where he played for 3 seasons until 1998. He also won the Slam Dunk Contest in the NBA All-Star in 1996. In 1998, Barry was traded to Miami Heat where he appeared in 17 games but did not start any of them. After a season with Heat, Barry joined Chicago Bulls on January 25, 1999. He signed a 6-year $27 million contract but was traded to Seattle SuperSonics after a season following a weak performance with the Bulls. He remained with SuperSonics for 4 seasons. Brent Barry became a free agent in 2005 and was signed by San Antonio Spurs. Spurs went on to win the NBA Championship that season and Brent and his father Rick became the 2nd father-son duo to win the NBA title. Matt Guokas, Sr. and his son Matt Guokas, Jr. were the first duo and since then Bill Walton and his son Luke Walton, and Mychal Thompson and his son Klay Thompson have also become the father-son duo to win the title. Brent also went on to win the NBA title with Spurs in 2007. He joined Houston Rockets in 2008 and ended his NBA career in 2009. Brent currently appears on the TNT's coverage of the 2018 NBA Playoffs. Besides, he has also worked as a play-by-play announcer on NBA TV. He works as a vice president of basketball operations for San Antonio Spurs since 2018. As of 2019, Brent Barry has an estimated net worth of $20 million. He currently works as a presenter on NBA TV, so, his salary is assumed to be about $200,000. Besides, he earns around $300,000 as a vice president of basketball operations for San Antonio Spurs since 2018. His total earnings from salary working in the different platforms is calculated to be $1 million in total. Most of Barry's net worth is assumed to have come from his NBA career. As a player, he reportedly made the career earnings of about $53,231,719. His average annual earnings during his playing career is around $3 million. 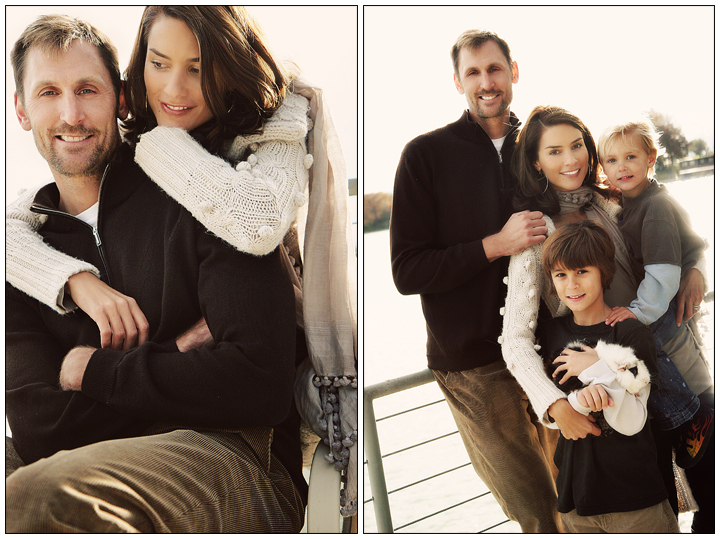 Brent Barry owns a beautiful home in Hermosa Beach, San Antonio where he currently resides. Brent Barry got married to his former wife Erin Barry in 1998. The former couple attended the same college and were in an affair since then. Brent and Erin together have two sons. Brent filed for divorce from his wife on October 29, 2010, citing "irreconcilable differences." The divorce was finalized on January 5, 2011, with joint custody of the children. Several reports claimed that Erin was having an extramarital affair with Brent's then-teammate Tony Parker. The rumor got strong support after Tony's wife Eva Longoria also filed for divorce just after two days. "Unfortunately, because our divorces are occurring at the same time, great speculation has been cast on our friendship. My friendship with Tony Parker had nothing to do with the end of my marriage (which is painful enough without this added drama), and to assume that we had an affair is naïve, ridiculous, and completely misguided. Every day I dedicate myself to being a good person and the best Mom that I can possibly be for my two beautiful children," she continued. A first-year law student and a longtime advocate for abused and disadvantaged children. I have spent my adult life fighting for children who have been victimized," she wrote, "so forgive me for not caring when someone tells me that my name is being dragged through the mud." Barry is currently single after his divorce with Erin.